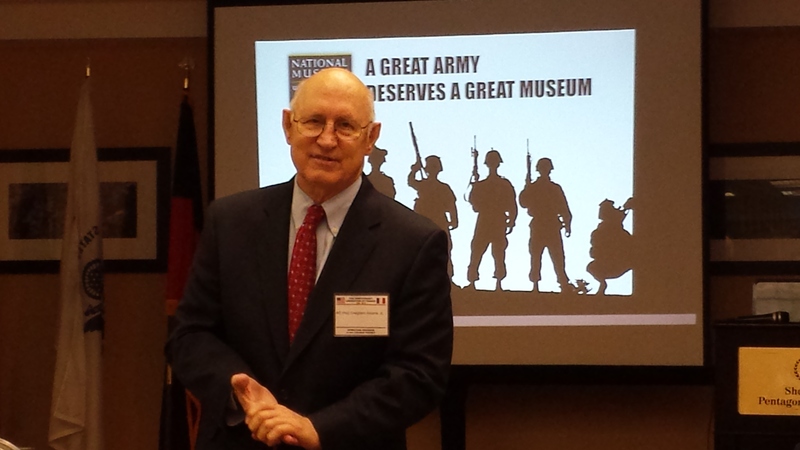 Before our departure for the French Embassy, General Creighton Abrams spoke to our conference about the need for an Army museum.The General spoke about the great things that the Army has done, both in it’s actions and the affect it has had on it’s members. As I said just yesterday, everyone has a story, and the Army museum will attempt to tell those stories. They’re in the process of gathering funds and the General spoke about the Museum and about the Brick Program. Outside the museum, the brick walkway will be lined with commemorative bricks and as a part of the fundraising effort, you can purchase a brick to commemorate your own or someone else’s service. You can bet that there will be a brick for LTC Richard Henry Henderson in that walkway. I encourage everyone to purchase one.